You're invited to leave your permanent mark on the new home of the USF Health Morsani College of Medicine. By making a one-time gift of $5,000, your name will be forever etched in history on a special commemorative wall in Legacy Commons. 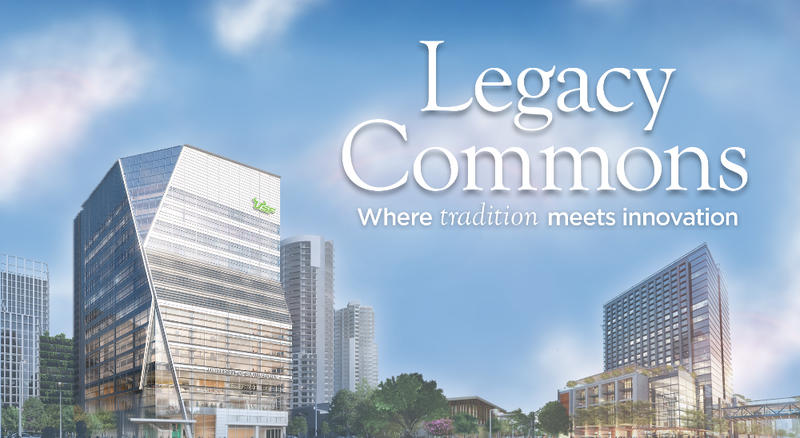 Legacy Commons will be a gathering place for our students, located on the third floor of the new medical building on Water Street Tampa. When students pass through these halls, they will be surrounded by your class photos and other college artifacts; reflecting on the past as they work towards the future. You, our alumni, are the pioneers of the medical college, an essential building block of our institution. As we build the future of medicine, we ask you to build your legacy with us through this exclusive opportunity. Name recognition in the Morsani College of Medicine Legacy Commons is reserved for alumni of the Morsani College of Medicine, including those who completed at least one year of graduate medical education at USF. Alumni donors will be recognized with their preferred full name (without prefix), followed by their USF medical degree(s) and class years. Residency/fellowship alumni will be listed as their full name, their doctoral degree suffix, their USF residency or fellowship area, and year of completion. Spouse names may be added following alumni names per your request. Interested in larger naming opportunities, leaving an estate gift, or have general questions?